During one of my regular jaunts to local boutique Off The Hook, I noticed one of their associates casually burning up the floor with a pair of Nike Air Yeezy II. 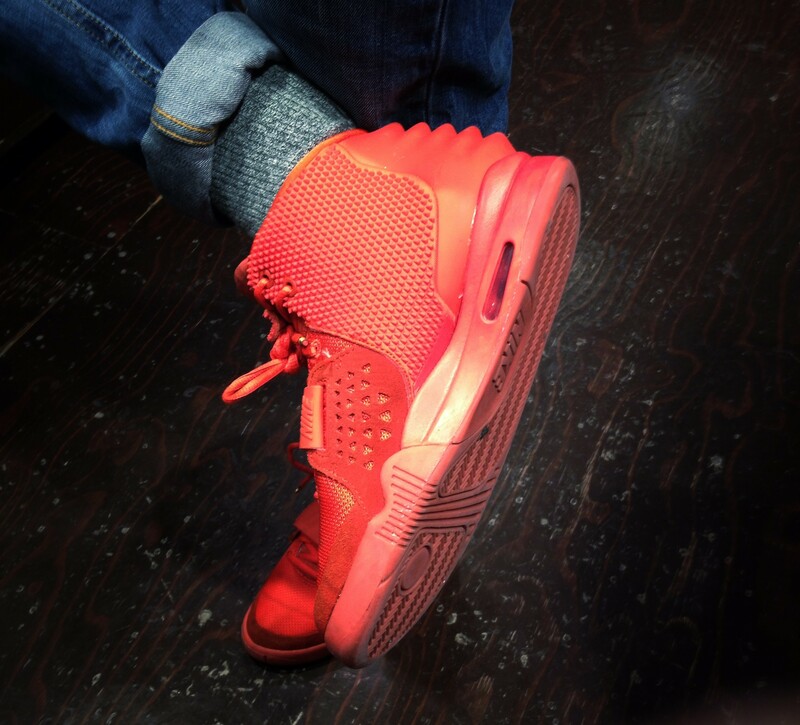 I introduced myself and I commented about how great it was to see him wearing the Red October’s. It was, in fact, the first time I actually spotted someone wearing them in person. I snapped a quick pic of his shoes and outfit and then went about my business. 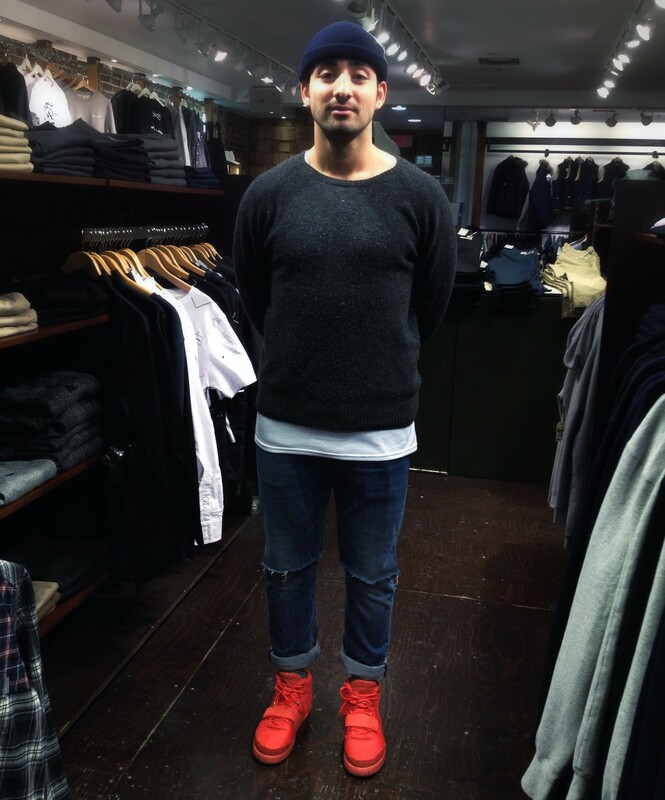 Jump to the following week or two and, once again, Yanis was wearing his Red October’s in the shop. I figured I’d get the story of how he came to acquire these beasts and I thought it possibly intriguing that I share his story. 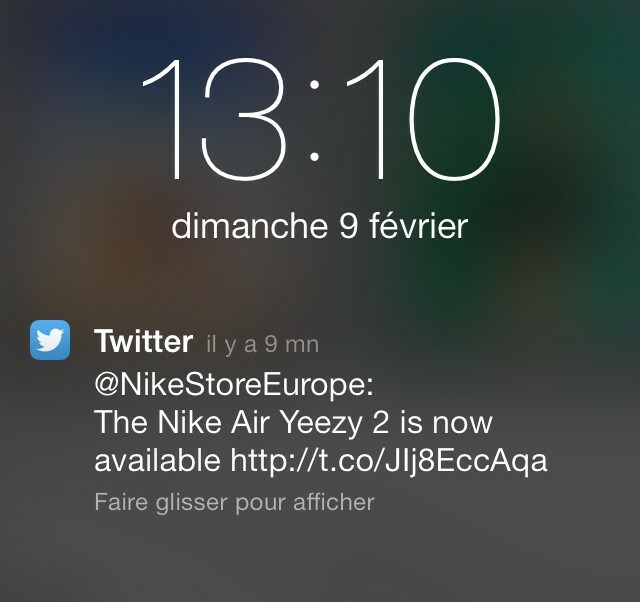 It was a Sunday, February 9, 2014 and our friend, Yanis Hammiche was hanging in Montreal when he got the Twitter notification for Nike Store Europe. Originally from France, Yanis still had an address in Europe where he could ship items. 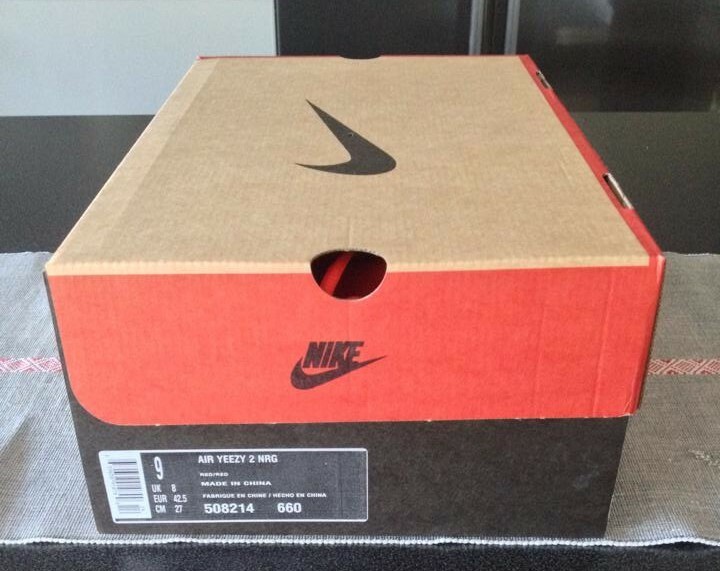 He clicked the link, and Nike UK still had sizes 5, 8, 9, and 13 left. After selecting size 9 and trying several times, the Yeezy’s were finally added to his cart. Still working off his phone, he tried to check out, but to no avail. His buddy suggested he log on through his PC to try and BOOM! Order placed. 37 whole minutes after the release time. 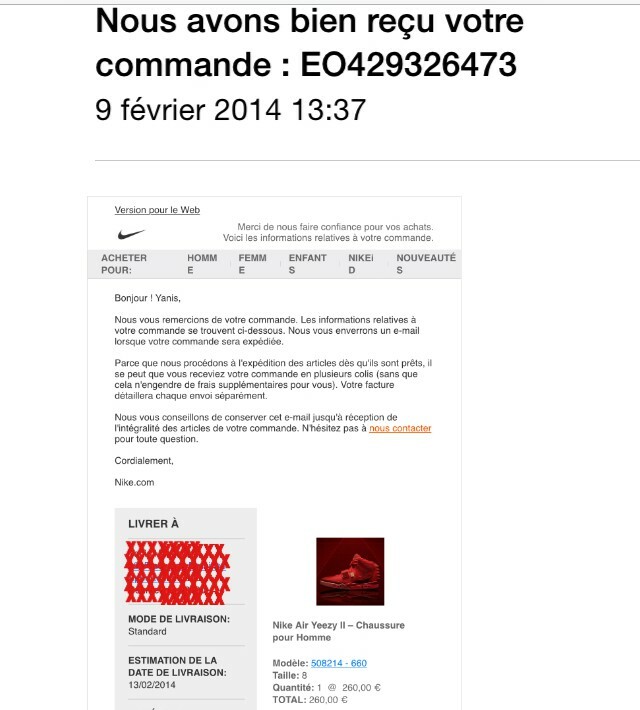 Yanis recounts how he had camped 5 days at Nike Stadium in Paris back in June of 2012 for the Platinum Yeezy II’s. 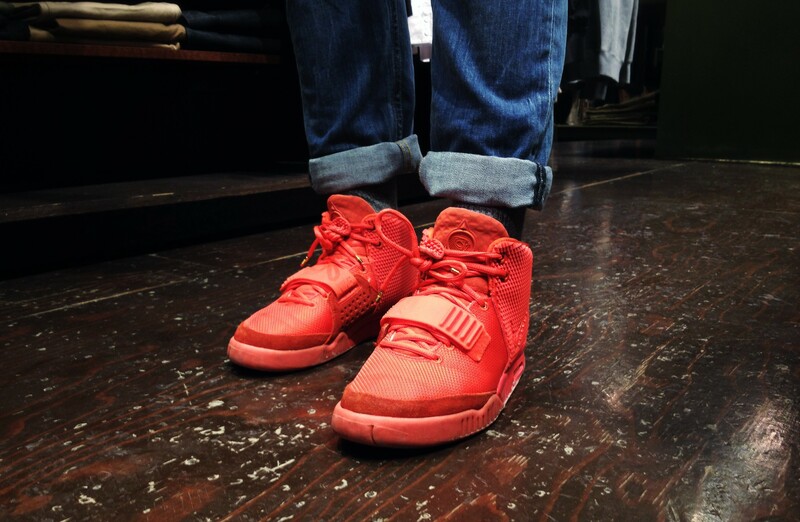 Scoring on the Red October’s just completes his story for Nike Air Yeezy’s. For this reason, I think he has no qualms about wearing the Red October’s on a daily basis, with no reservations and paying no real mind to the possible effects of weather and wear. As you can see from some of the shots, the Yeezy’s have a few beautiful usage marks, fitting odes to the glorious story of a shoe hunter.